Insurance companies owe a duty of good faith to policy holders – to people like you. Unfortunately, they don’t always fulfill that duty. That’s why bad faith claims exist. When you file an insurance damage claim and it turns into a bad faith insurance claim, you can actually be compensated an amount larger than the original face value of your policy. Today, we’re explaining everything you need to know about insurance bad faith – even if you have no insurance experience or legal knowledge. When you pay for an insurance policy, you’re doing it because you want to be prepared for the unexpected. You’re doing it because you believe the insurance company will compensate you when unexpected events occur. Unfortunately, not all insurance companies are honest. Sometimes, they fail to fulfill mandated contractual duties to the insured individual. If you can prove an insurance company is failing to fulfill implied duties, then you may be able to file a bad faith insurance claim. How Does Bad Faith Law Work? On one side of the fence, you have the right of an insurer to reject an invalid claim. Insurance companies can reject fraudulent insurance claims, for example. On the other side of the fence, you have the rights of the policyholder to receive fair payment for legitimate claims. You’re entitled to receive compensation according to the terms of your plan. Controlling these two competing interests requires careful balance. And that’s why we have bad faith insurance law. This is the most common type of bad faith claim. In these situations, your insurance company rejects your claim without a reasonable basis. These situations aren’t as obvious as you think. Your insurance company won’t just tell you, “We’re not giving you money because we don’t like you”. Instead, they could cite a part of your contract that’s difficult to understand. They could use terms like “wind driven rain” to deny flooding damage, for example, and point to a multi-page explanation in your contract. If your insurance company is dragging its feet, refusing to pay, or taking too long to act, then it could be a sign of a bad faith insurer. Did your house burn down? If so, then you expect your insurance company to work quickly to investigate. When your insurance company delays, you’re stuck: you can’t make repairs until your insurance company investigates, but your insurance company keeps delaying the investigation. If you’ve provided all necessary information to your insurer, but they’ve failed to respond adequately, then this could be the basis for a first-party insurance bad faith lawsuit. These insurance complaints are particularly common. Insurance companies are for-profit companies. Their goal isn’t to give customers as much money as possible: their goal is to pay you as little as possible while still fulfilling their legal obligations. Despite what colorful nationwide insurance company commercials tell you, insurance companies aren’t on your side and you’re not in good hands. This bad faith tactic is particularly devious. Sometimes, insurance companies will take advantage of naïve homeowners by requesting an absurd amount of evidence to reinforce the claim. You may think, “Hey, this is just a normal part of an insurance claim”. In reality, insurance companies are just looking for any excuse not to pay you. Insurance companies can also use this tactic to extend a lengthy process. If your insurance company is asking for an unusual amount of documentation from you or your physician, then it could be the basis for a bad faith claim. Insurance companies may request paperwork that was never mentioned in a policy, for example, or they may require you to submit both a preliminary claim report and a formal proof of loss form. These forms may sound reasonable to you, but this is actually a delay tactic, as both forms contain the same information. 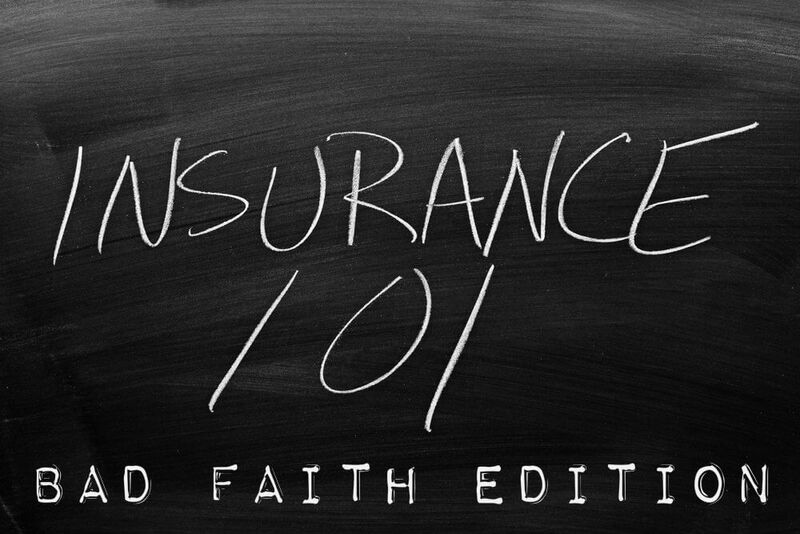 What Will a Bad Faith Insurance Claim Cover? Why should you file a bad faith insurance claim? America’s legal system holds insurance companies to strict standards. These laws are designed to protect American citizens. There’s one thing in common across all bad faith insurance claims: the more reprehensible the insurers act, the greater damages may be awarded to the policyholder. The worse your company treats you, the more compensation you can win in a bad faith claim. The requirements for a successful bad faith claim differ slightly across America. Most bad faith law definitions, however, follow something close to California’s definition (which makes sense because California was the first to recognize bad faith tort). To prove bad faith in California and most other states, you need to show that an insurer breached its duty of good faith “by refusing, without proper cause, to compensate its insured for a loss covered by the policy”. What does that mean in layman’s terms? Basically, it means you need to prove that an insurance company refused to pay your claim without a legitimate reason. Would a Person of Reasonable Intelligence Understand Everything in your Insurance Policy? Certain states – like Texas – have a “reasonable person” requirement in insurance law. Essentially, that law requires insurance contracts to include only terms that a person of reasonable intelligence would be able to understand. In layman’s terms, that means if there’s complicated or vague wording in your insurance policy, then certain parts of that insurance policy may not be valid. If applicable, Claims adjusters will use this requirement to challenge your insurance company. If your insurance claim was denied, or lower than expected, then you may be tempted to book an appointment with a law firm to talk about a bad faith claim. However, it’s important to remember that not all claim denials amount to bad faith. Just because an insurer rejected your claim doesn’t mean they’re acting maliciously. Your claim could have been denied or lowered due to any number of legitimate reasons – including perfectly legal terms or restrictions in your contract. Confused? Lost? 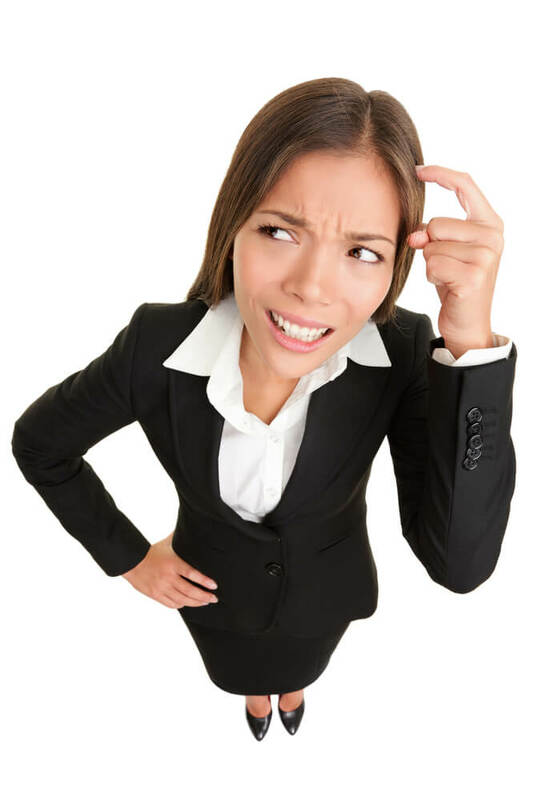 Not sure if your case qualifies as a bad faith insurance claim? You’re not alone, but public adjusters can help. Let’s be honest: unless you’re burning down your house every few years, you probably have limited experience dealing with your insurance company. Most people have no idea what to do if the insurance company doesn’t pay. That’s why a public adjuster can help. A public adjuster – also known as a claims adjuster – is a qualified expert that has one goal: to make sure your insurance company pays you the full amount you’re legally owed according to your insurance policy. Public adjusters typically have decades of insurance industry experience. In fact, many of them used to work for insurance companies. Now, they’ve switched over to the “good side” to represent the public. Public insurance adjusters have been at both sides of the negotiating table. They’ve pored through thousands of insurance contracts. They know which terms insurers add to contracts to trip over policyholders. They know the tactics insurance companies use to deny or reduce your claim. They know all of these things – and they’ll use this insider information to help you. Many of them also specialize in certain areas of insurance law – like theft insurance or flood damages. Hiring a good claims adjuster gives you the best possible chance of getting more compensation from your insurer. Public adjusters, also known as claims consultants, do far more than just work on bad faith claims. In most cases, they negotiate with your insurance company on your behalf, fighting for a higher claim. However, in certain situations, claims adjusters may believe your insurer is acting in bad faith. In these situations, the claims adviser may consult an expert to assist them on the case. This expert – typically an attorney, a roofing consultant or a structural engineer – has the legal knowledge required to determine whether or not there’s a case for bad faith. How do you sue your own insurance company? Can you sue your insurance company in your situation? What’s the best way to proceed when your insurance company doesn’t pay? Why is your insurance company denying coverage? Your claims consultant will work with lawyers who have a history of successfully suing insurance companies. They’ve filed lawsuits against insurance companies in the past – and they’ve won bad faith claims against those insurance companies. You may be thinking: I can’t afford to hire a claims adjuster. Fortunately for you, claims adjusters almost always work on a contingency basis. They don’t charge any fees upfront. In fact, they only charge you when you’ve accepted your insurance company’s settlement offer. Once you accept that settlement offer, the claims adjuster will take a pre-arranged percentage of the settlement – like 8% to 10%. There’s one more added bonus: if you can successfully prove your bad faith insurance claim, then you could force your insurance company to pay all your legal fees. That means you end up with significantly more money at minimal cost to you. In other words, your legal fees as well as your public adjuster fees will be paid directly by the insurance companies, leaving you with the full 100% settlement amount! You’re awarded a $55,000 settlement, you take home $55,000. Don’t be fooled by your insurance company’s cheerful advertising: insurance companies are not on your side. If you suspect you’re being taken advantage of by a bad faith insurance claim, then it costs you nothing to schedule a free initial consultation with a public adjuster. Yes, your insurer’s customer service representative may sound friendly on the phone. He or she may promise to start your claim immediately. He or she might tell you that they’re sending a representative to your location as soon as possible, but in reality this isn’t always true. Unfortunately, bad faith insurance claims are widespread across America. Every day, these insurers get away with bad faith practices. In most cases, policyholders do nothing. Insurance companies get away with it – and leave homeowners like you with less money than you deserve. Remember: you’ve been paying into your insurance plan – you deserve compensation. Do you have an insurance dispute worth over $10,000? Do you believe your insurance company is acting in bad faith? Is your insurer delaying the process? Did your insurance company deny your claim? Are they refusing to pay you an adequate amount? If so, then it’s in your best interests to schedule a free consultation with a claims adjuster. 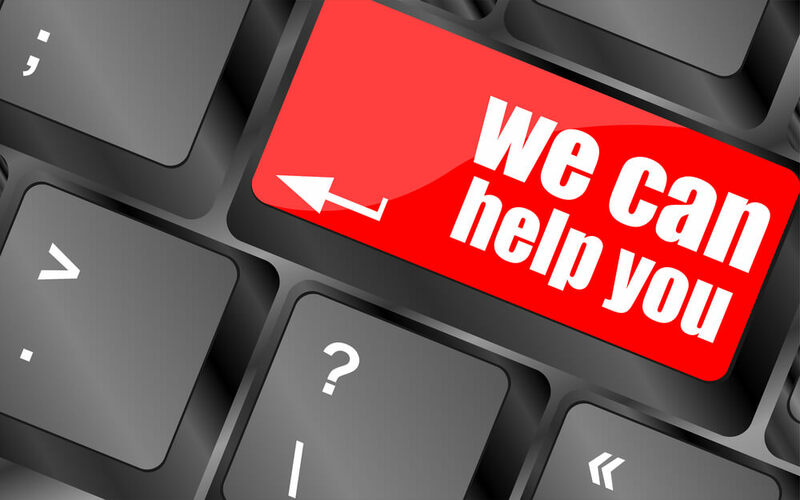 At no cost to you, a public insurance adjuster will help you understand your situation and explain the best way to proceed. Schedule your free, no-obligations consultation with a public claims adjuster today.